Many of you may have seen the bold red headlines for the weekend edition of USA Today, which screams, “What surgeons leave behind.” If you haven’t read it, this article by Mr. Eisler makes for riveting reading on one of surgery’s most catastrophic mistakes. 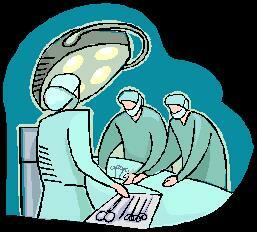 (The other catastrophic surgical mistake is a topic we’ve covered before, Wrong-site surgery (wrong side, etc.) Readers will remember the previous stories about an American neurosurgeon who was found to have performed wrong-sided surgery, on not just one – but several patients. Readers will also recall that said surgeon has a habit of moving from state to state as each medical board catches up to her*. The How and Why of Retained Surgical Items is our own contribution to the topic – over at Examiner.com, where we review much of the information regarding retained surgical items or forgotten foreign bodies including risk factors for this phenomenon, and how current practices may actually inhibit efforts to prevent this from occurring. * This surgeon was previously mentioned by name in both my posts, and several news stories about her numerous medical/ surgical errors.. Of course – disclosing her name on this site led to multiple threats of legal action – quite the long story, for new readers. This entry was posted in Quality Control/ Medical Standards and tagged eisler, preventing medical mistakes, retained surgical items, surgical errors, surgical sponge left inside patient, USA TODAY what surgeons leave behind. Bookmark the permalink. I read the article. It scares me off. I’ve seen similar stories. I just noted this “long term complications and even death”. It’s sad that the doctors whom we entrusted our health will be the cause of our sufferings.